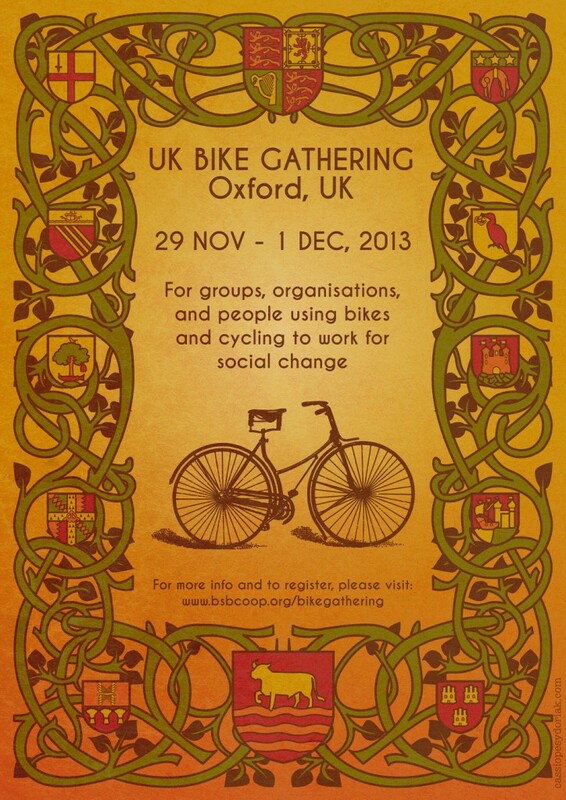 The UK Bike Gathering is a place for groups, organisations, and people using cycling and bikes to work for social change. In 2011 it was held at I Bike MCR in Manchester (in the summer) and The Bristol Bike Project (in the winter). In 2012 it was hosted by Pedallers Arms in Leeds. In 2013, it is being held at the Broken Spoke Bike Co-op in Oxford. It starts with a critical mass cycle parade on Friday evening, then there are workshops on Saturday and Sunday.